Maddie Ramsey is like many other teenage girls : she enjoys listening to music, watching movies, reading, travelling and spending time with her friends and family. However, Maddie is special as she has Down syndrome. Ever since she was a little girl, Maddie has dreamed about going to her Winter formal school event with a date. Therefore, Maddie decided to invite a friend of her brother’s – a boy named Jesse. 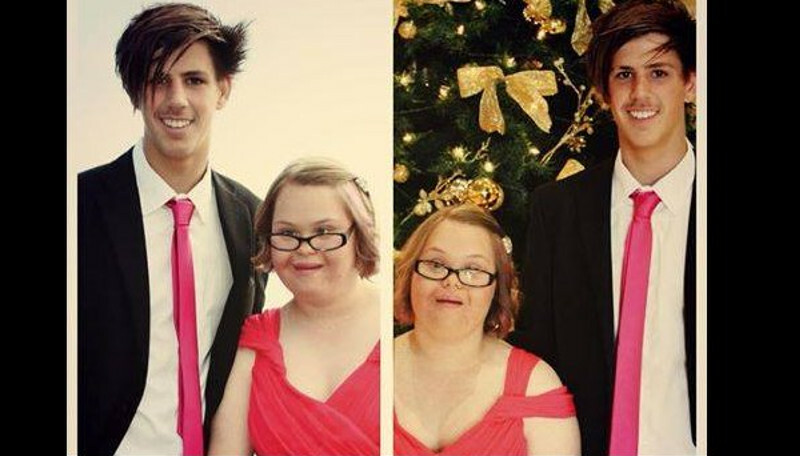 Her parents weren’t against it and fully encouraged her to invite him, because they wanted her to have the perfect formal with all the same experiences as everyone else. Jessy accepted Maddie’s proposal to take her to the Winter formal and moreover, he proudly announced that he was going to the event held by Maddie’s special needs school. He felt that Maddie deserved to have a proper formal and be treated like any other girl going to such an event. Jesse bought a suit and a corsage for his date who got him a boutonniere. The evening turned out to be one to remember forever for both Maddie and Jesse.